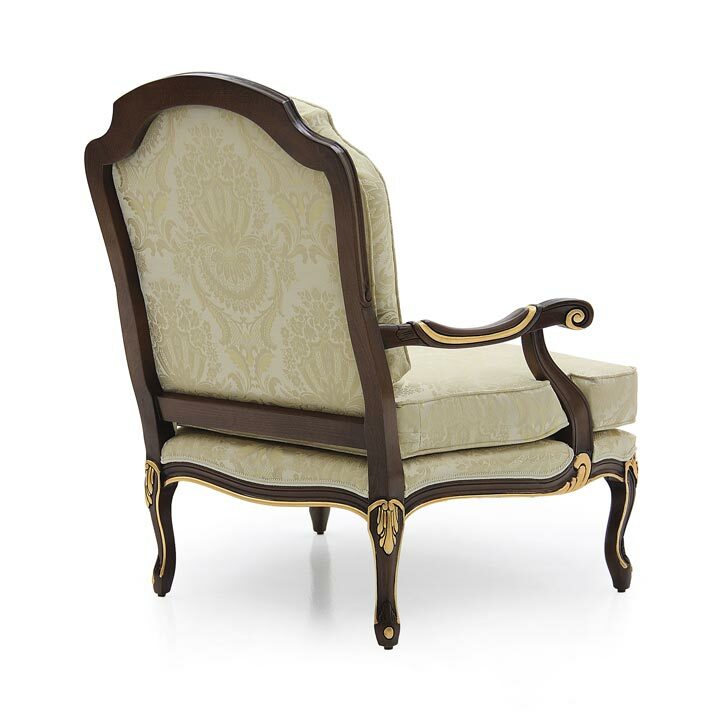 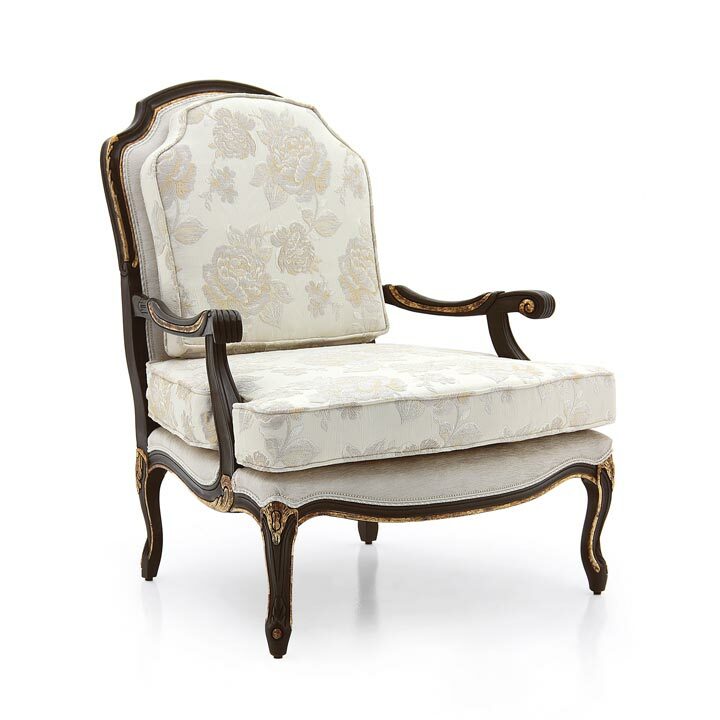 Extremely elegant Classic style armchair with beech wood structure and particularly elegant lines. 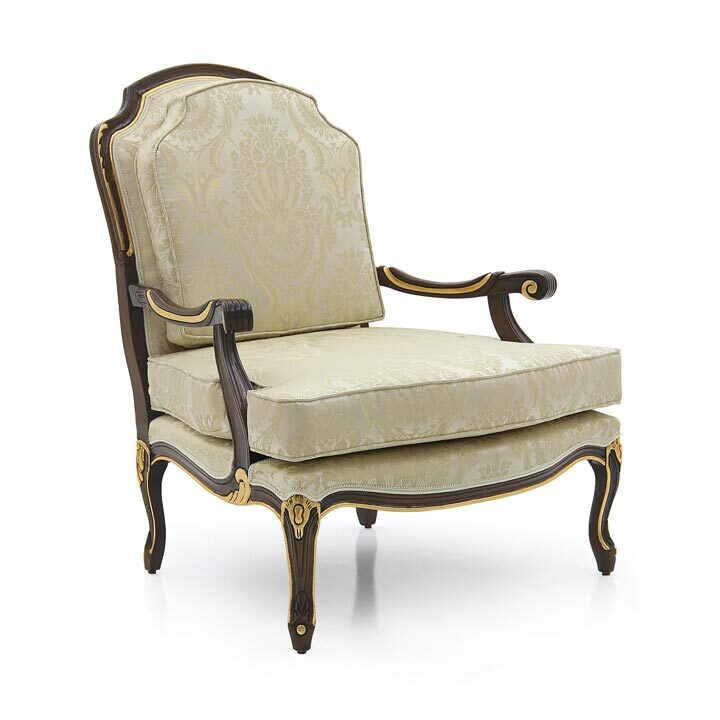 The seat is padded with webbing, springs and superior quality foam and it has a padded cushion that makes it particularly comfortable. 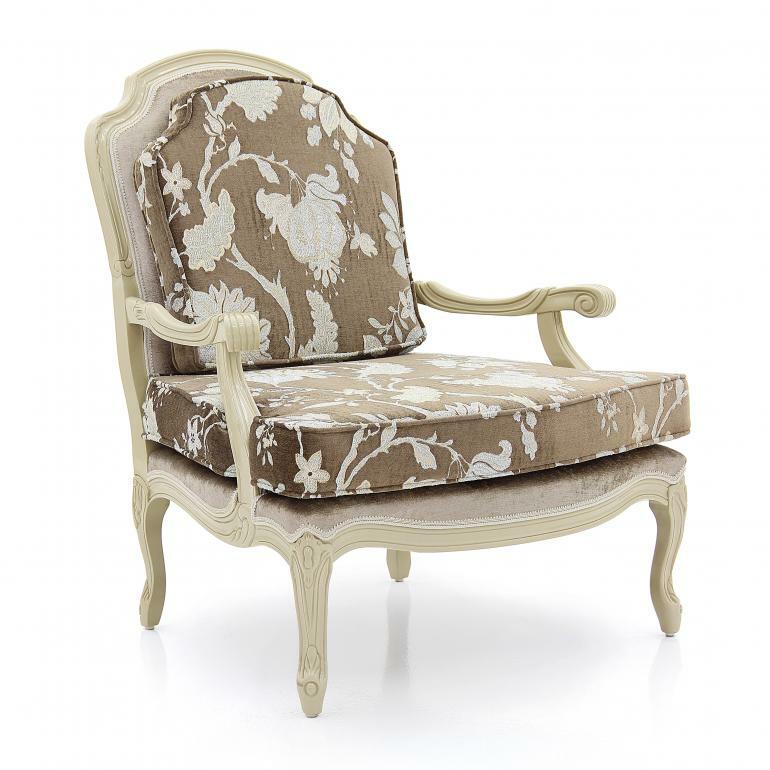 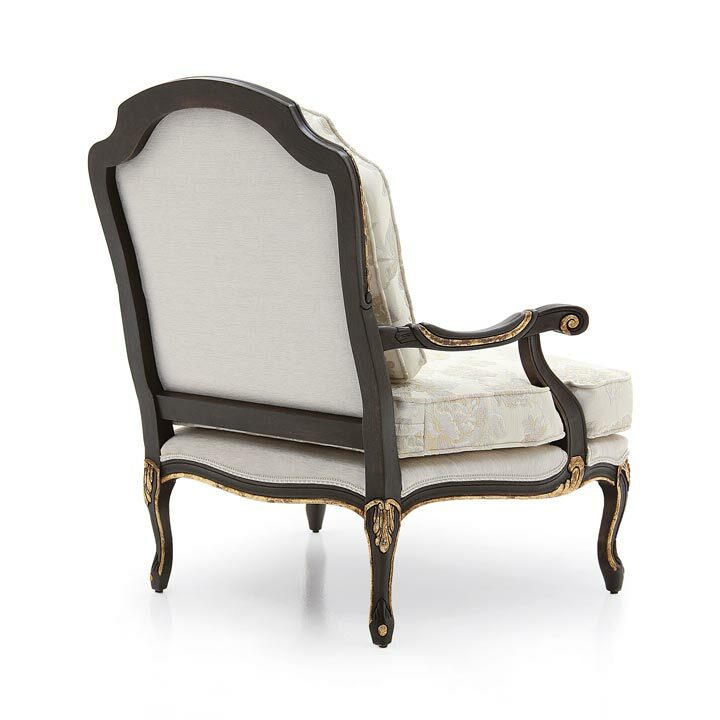 The upholstery can be customised with nails, braiding, double welt or welt.